The city of Aspen was required to replace its Mixed-Media System at their West Water Treatment Plant, without interfering with their peak water demand needed during the winter ski season. That’s why they hired UNIFILT! The city was convinced that our documented experience and reliability would help them accomplish both goals. The complexity of the jobsite conditions, particularly the altitude combined with inclement weather, proved to be no problem for UNIFILT. We were prepared, conditioned and had planned our individualized mobilization to ensure a state-of-readiness and guarantee that the project could be performed without delay or interruption of the plant operation. Our specialized, state-of-the-art equipment was utilized to perform the removal and installation techniques that were incorporated during the demanding operation. 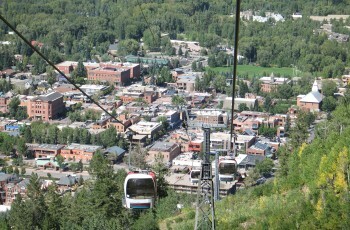 The City of Aspen now has a high-quality Mixed-Media System and no thirsty skiers! By employing UNIFILT, the city alleviated the hassles and headaches of attempting to perform the work themselves.